When it comes to protecting and restoring your oral health with dental care services, we take our job seriously. Your oral health is strongly linked to your overall health and well-being, which makes it even more important to visit your dentist on a routine basis for an exam. By catching minor problems early, we can help you avoid disruptive and painful dental complications down the road. 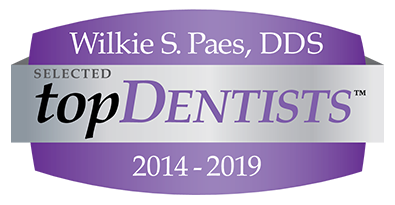 Dr. Paes is an experienced dentist who treats patients of all ages in general dentistry. While we are meticulous about delivering preventive care, we are also equipped to restore your teeth and gums from damage, decay or disease. At Town Center Dental of LaGrange, we give patients a new experience in dental care. Our relaxing office amenities, advanced dental technology and friendly staff ensure your visit is pleasant and hassle-free. Whether you need to manage gum disease, address jaw pain or get a custom crown for a broken tooth, you can expect superior, patient-centered care from our Dutchess County dental team. We also offer emergency dental care for families who need prompt attention to a mouth-related injury or concern. Town Center Dental of LaGrange invites you to join our dental family. We have new patient forms and specials online for your convenience. Our office proudly accepts most dental insurance carriers and we offer easy financing through CareCredit or our in-house Dental Savers Plan. At Town Center Dental of LaGrange, your dental care can be exceptional and affordable! Contact us today to schedule your general dentistry appointment with Lagrangeville’s most trusted family dentist.